Song written by Kate Bush. Originally released on her fourth album The Dreaming, it was also released as a single on 2 November 1982. The song's lyrics are about a bungled bank robbery as told by a fearful and paranoid perpetrator. Towards the end of the song, the lyrics and tone take on a dream-like state, which is reflected in the video. 'There Goes A Tenner' was released as a 7" single in the UK and Ireland only, featuring Ne T'enfuis Pas on the B-side. It was originally intended to be Bush's first 12" single, but its disappointing sales performance caused plans for the 12" to be cancelled. The music video was directed by Paul Henry and depicted Kate Bush as part of a gang of thieves robbing a bank. Reviews of the single weren't all favourable. Record Mirror noted: "Blackheath beauty goes all cooey cockney-gasp in a bouncy tale of the downfall of Thatcherism and the rise of mass working class solidarity... actually it's more trivial than that." Record Business noted: "A practically formless song with odd vocal affections, and no chorus to speak of. (...) Most disappointing." Neil Tennant wrote in Smash Hits: "Very weird... Obviously she's trying to become less accessible. Even so this has a haunting atmosphere." 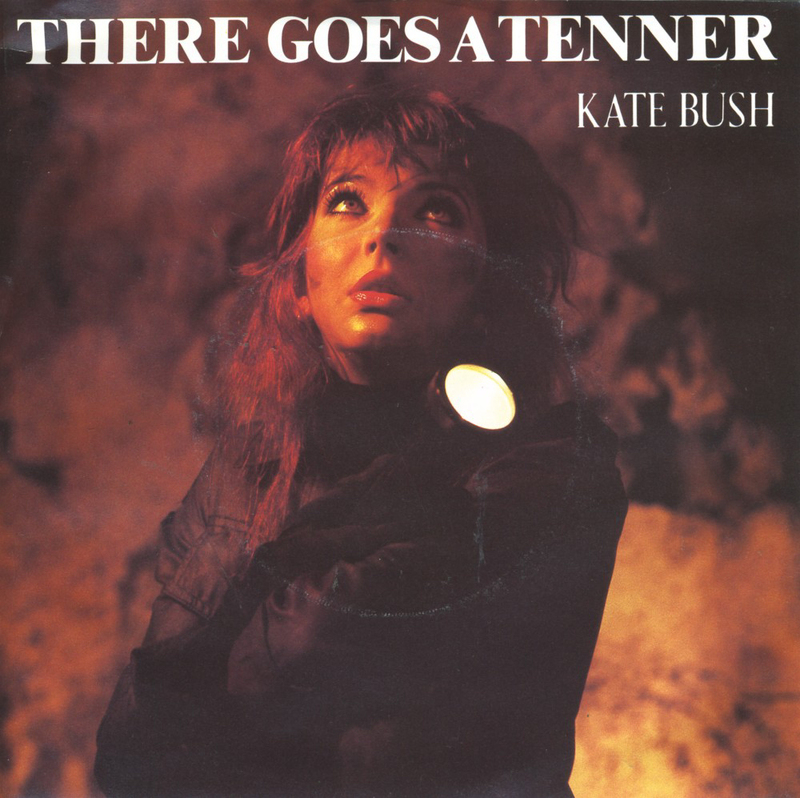 'There goes a tenner' was covered by Big City Orchestre, Goodknight Productions, J. Davis Trio, The Kate Bush Experience and Optiganally Yours.